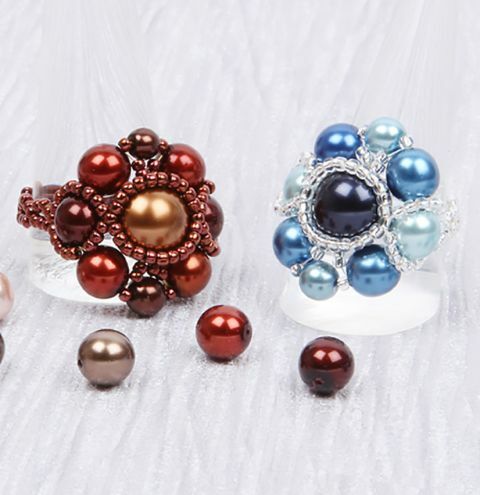 Create a dazzling beaded ring using shining seed beads and pretty glass pearls. Please note, the blue pearl mix for this design is no longer available. We have substituted this with the correct sized alternatives.